It was a good weekend of NFL football! Tom Brady, Aaron Rodgers and Eli Manning were in the spotlight for their wins, but no one received more attention that this week’s MYSTERY PLAYER! Below we’ve posted a few clues about this person’s identity. Comment on this post with who you think it is and be sure to include your GoName. Correct answers will win GoDough and one lucky person will win a FREE MEMBERSHIP! Star quarterback at Florida who played under Urban Meyer and led the team to a second national championship in three years. Has had a rough start in the NFL, with many still questioning his ability to be a big time quarterback. However, six straight wins this season have some changing their minds. Let us know who you think this player is! And if you’re looking for some more football fun, log in to FunGoPlay and head over to Skagurski Stadium for awesome football minigames! 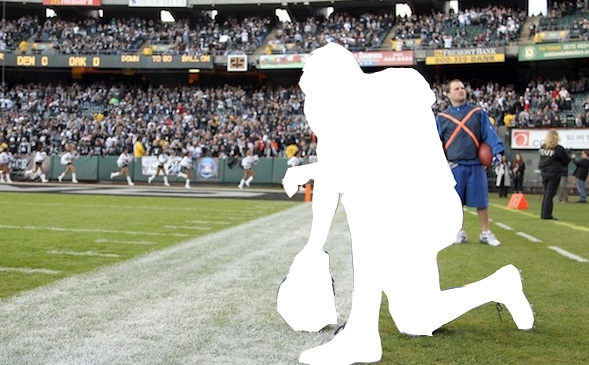 Posted by fungoplay on December 13, 2011 in Contest and tagged contest, football, fungoplay, mystery player, NFL.